About our Daughter: She is a graduate in Food Technology and masters in Packaging Technology. 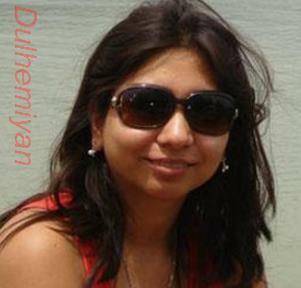 Currently working as a Packaging Development Manager in one of the biggest FMCG MNC and lives in Chandigarh. 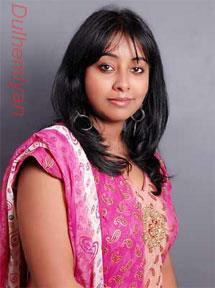 She is flexible with her residing city and may opt for transfer to any suitable city within or outside India. Her hobbies are photography, traveling, sketching. Her friends describe her as sweet, good at heart, and an emotional person. We are looking for a partner who is honest, dedicated and have good moral values.\r\nAbout her Family : We come from a highly qualified and cultured family in Dumdum, Kolkata having a parental house there and have settled in Delhi for last 26 years. \r\nOur family is nuclear family of four with a mixture of both modern and traditional values. We are proud to have brought up our two wonderful kids in a cosmopolitan background. \r\nA few words about my family: Father : Worked in Ministry of IT as a scientist .Mother : Worked in All India Radio as a Sr. Eng. Assistant. Brother : Has done Aircraft Maintenance Engg. 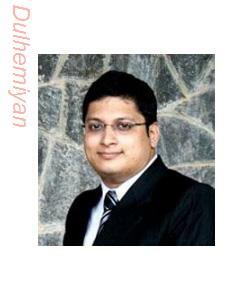 (AME), B.Tech (ETC), PGDM from IMT, Nagpur.He is at presently working in KOTAK- MAHINDRA bank as manager.!!!#!!! She has done her Masters in Fine Arts (Applied Arts Specialization). Now working with an Advertising Agency in Gurgaon (Equus Red cell) as a Froup Head Art. \r\nAbout her Family I, her father (Shyamal kr. Dey) and her mother (Manju Dey) along with her younger brother have shifted to Siliguri a year back. Before that we were in Shillong. I have retired as a Sectional Officer from AG's office, Shillong and her mother has retired as a Senior Accountant from Treasury Office, Shillong. Her brother has completed his MCA finals.\r\nEducation: She did her 10th(I.C.S.E.) n 12th(I.S.C.) 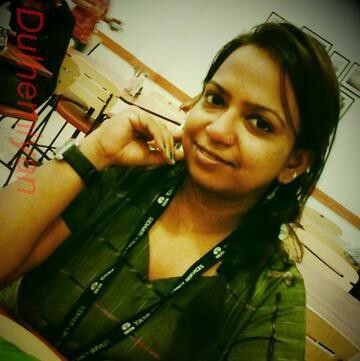 from Shillong n Bachelors in Fine Ats n Masters in Fine Arts with Applied Arts specialization from Assam University.\r\nOccupation : She works in an Advertising Agency (Equus Redcell) as a Group Head Art.!!!#!!! hi ..my daughter is simple honest and a hard working girl. she has completed her schooling from kolkata and college from delhi. she loves ti travel new places and also loves activities like rafting , cliff jumping etc. 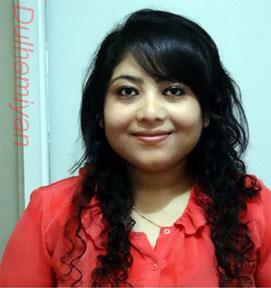 About her Family : We are based out of Kolkata and we live in old Kolkata. We have a nuclear family with simple values. Education : My daughter has completed her schooling from Kolkata Well and Gould Smith School and college from Delhi IITM\r\nOccupation I want to work after marriage !!!#!!! My daughter has got a Pleasing personality, Beautiful, understanding, Responsible, Caring and very affectionate. Having managerial skills & Cooperative, Soft spoken, Generous, Enriched with moral values. She is very down to earth and has a good sense of humour. She has a good sense of understanding and is adjustable in nature. Loving and caring for all. Respecting family values, and modern with thinking. She loves cooking, reading,listening to music, traveling and watching TV. Her life partner should be caring,understanding, loving..and above all a good human being.\r\nAbout her Family Father: - Father has Expired Mother: - Mother Is House Wife Brother:- pursuing B.E. IV Year Sister:- No Education\r\nShe Has completed her graduation in B.C.A From Center Point College, Nagpur..she has also done diploma in web designing AND Microsoft certification courses in Dot Net..At present she is doing internship at a software company. Occupation Student !!!#!!! She has completed B.Sc from Kanpur University. Currently is working as Team Leader in Accenture, Prior to that i worked EXL. Pvt LTD for 3 years and IBM Daksh for 1 year. Her mother is house wife and very caring and loving. 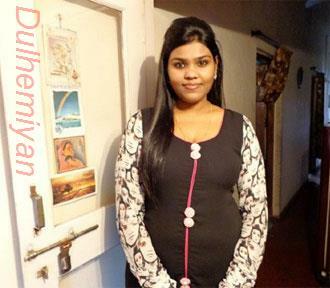 her elder sister is happily married and settled in Pune. 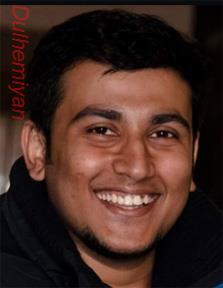 \r\nher younger brother is settle and working in delhi. She stay with her Mother and younger brother. they are from Kanpur. 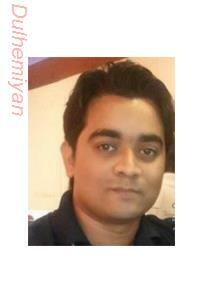 \r\nWe are looking for decent and caring person with high family value and good education background. Guy should be well settle and ambitious, also should understand family responsibilities. I would like to get interest from people who serious about marriage and would like to settle down in a year or so. I would like to know the person before taking decision. !!!#!!! My daughter has completed her B.Tech from KIIT University ,Bhubneshwar ,Orissa ,India and She has Completed Masters In engineering IT(Information Management System) from Texes University ,UT ARLINGTON USA .At Present she is working as a business analyst posted at Verginia USA.Her mother is a Teacher At DBMS ENGLISH SCHOOL and my self doing Business Marketing of PROCESS CONTROL INSTRUMENT AUTOMATION SYSTEM PRODUCTS AND INDUSTRIAL FERRO ALLOY PRODUCTS AND CHEMICAL . About her Family: My parents ar staying at JAMSHEDPUR INDIA,and My father is doing his own business and Mother is a teacher at DBMS English School .WE have our own house at Jamshedpur and also one flat at jamshedpur and kolkatta (Not completed).My grand mother is staying with us .My father have one elder brother staying at Mumbai and one elder sister married staying at Chennai. My fathers sister"s all the children are settled in US AND dubai. Education: B TECH FROM KIIT UNIVERSITY MS ENGINEERING (IT) FROM TEXES UNIVERSITY , UT ARLINGTON, USA !!!#!!! My Daughter is a B.Tech (Computer Science) from Mumbai University and later did her MBA in HR from XIMB. Intelligent, Professional and Carrier Concious. Her Hobby is reading, drama, globe torting, music etc. open minded, enjoys life, sympathetic, respectful. working in OIL PSU as HR Officer and posted in Bhopal. a true professional. She is HR Officer posted in Bhopal at present. HR Professional. Father is working with Ministry of Petroleum and Natural Gas. 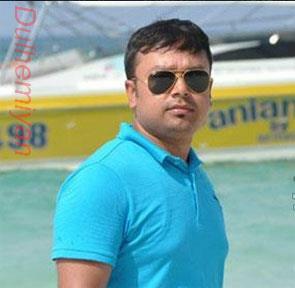 IIT Engineer and MBA Abroad. Settled in Mumbai for last 15 years. Sister is an engineer and studying in TISS HR. Mother is a housewife. Very Open minded. Have own flat at Powai and New Town, Kolkata. We Should be well educated, live, respectful, enthusiastic, Should be open minded, sensible and belief in value system. !!!#!!! My sister is a beautiful girl with a pleasing personality. She has been brought up in a very independent and family centered culture. As an individual, she believes that true happiness is a summation of small and big moments when shared with your near and dear ones.About her Family:Our father passed away a few years ago, he was a businessman. Our mother is a housewife. I am married and my younger brother is studying.Education:She is a B.COM Graduate with a PGDM degree in Marketing & HR.Occupation:She is currently working as a sales professional in the industry.!!!#!!! She is working with a private bank ( Pune ) as an Asst Manager. She belongs to a middle class family. She is only child of her family. She is broad minded open in nature & down to earth. Quiet friendly and very much hard working lady. She was born and brought-up in Kolkata. About her Family. Her father expired couple of years ago, he was in a Govt sector as a Senior superintendent Engineer. Her mom is home-maker. Family members are quite friendly in nature.and very adjustable. Education, She has done her schooling from Bharatia Vidya Bhaban (Salt-lake, Kolkata). She is graduated in English honors from Kolkata University and has done her M.A in English from Rabindra Bharati University Kolkata.!!!#!!! She is a simple, nice and family oriented girl. 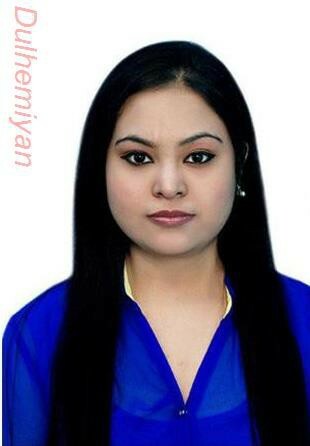 She is working as an auditor in big four and is self independent.\r\nShe has completed her schooling from ISC board and graduated from Delhi University. She believes that "life is important to be nice but it is more important to be nice in life". Her father is a retired sales tax officer, mother is a board examiner. Her brother is working as a vice-president in Accenture. !!!#!!! She is simple, soft spoken, friendly and respect the people. She is very calm & cool. She is a very intelligent and caring individual. She takes responsibility and has a great sense human being. She likes to listen good classical song and watch to comedy programs. She likes to read good books. She has completed her MSc in Medical Genetics from VIT University Vellore. Thereafter she has completed her Anti Cancer research project from TATA Cancer Research Centre, Mumbai and got appreciation for the best. 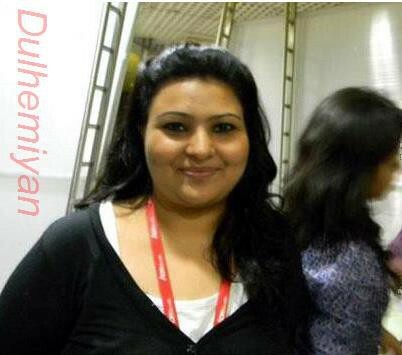 Now she is working in top MNC- Noida in HR Dept. Her parent is working in Govt. Job. She has one younger brother, who is doing MBA and one younger sister. She has born & brought-up in Punjab. She should be understanding, practical, and broad minded. She should know his values and his responsibilities as well. !!!#!!! Hello Girls!! 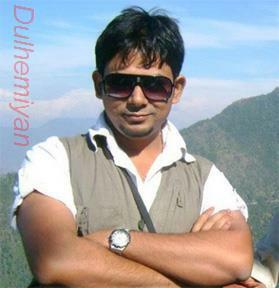 I am Vijay Halder\r\nI have completed my Bachelors in Engineering/ Technology.I am currently working as an Engineering Assistant in All India Radio Delhi.\r\nI am a simple fun loving and a bit mischievous kind of guy.I have a good sense of humor and would like to have a girl as my wife who would be caring ,cheerful , emotionally strong and who would stand besides me in all situations.\r\nValues: less moderate more liberal.\r\nHobbies: books,internet, computers, electronics.\r\nViews on marriage: two sided affair,to get loved and love,sacrifice,care,honesty,happiness, emotional bonding. I am the eldest sister who is placing up this add on behalf of my brother and we are looking for a traditional hindu bride who is down to earth in all respect. There are plenty of qualities that my brother has but in a nutshell I would describe him as someone who is honest, warm,caring, intelligent, hardworking, and ambitious. He enjoys traveling, watching movies, going out for dinner and having great intellectual conversations with friends and family. We are close neat bengali family with a traditional morals and with jest of modern values. My father is a retired gazetted officer of BSNL and now he has been keeping himself busy by practicing homeopathic. My mother is a house-maker and is very dear to everbody amongest us. I am the eldest sister living in Australia last 12 years now, my husband is an electrical engineer and we have 2 daughters together "Hritu & Ria". My family is situated in metropolitan city of Kolkata, very much well-known and respected in the community. Me and my brother has grown up in our family house in Barrackpore. In our hindu tradition, family always comes forward to matrimonial affairs and now its my turn to take the responsibilities to look for a perfect bride for my brother. \r\nWe would like to extend our family by accepting a new relationship who will be the most valuable, dearest, loved ones. Finished schooling - Kendriya Vidyalaya(Army) 2005 Finished B.Tech - Netaji Subhash Engineering College (Kolkata) 2009 Finished Cisco certified network associate - TERANETZ NETWORKS Pvt Ltd (Bangalore) 2015. !!!#!!! I am (groom's mother) recently retired executive from BSNL. My husband is also retired executive from BSNL. We have two sons. Groom is the youngest son of us. 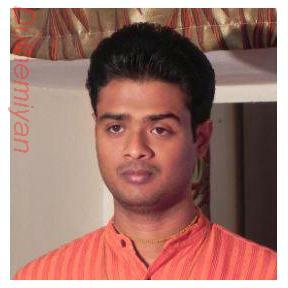 He is M.A in Fine Arts, pass out from Kalabhavan, Viswa Bharati, Santiniketan with first class and completed UGC-NET also. We live in South Kolkata in our own three-storied house. He is now an Assistant Professor of Fine Arts & Visual Arts preparing for PHD also. His schooling was from Nava Nalanda and got star marks. He is good looking and physically fit, with a cultured, sharp and smart mind with good sense of humour . He is Naragon. We are upper middle class family and have good moral values. Though we stay apart for our career and jobs but we are neatly bonded. Maternal side is Brahmin but it does not matter as we have no faith in castism. We just wish to have a really good person from a well- cultured family. Both father & mother are engineer but both of the sons choose different careers in which they are successful enough. He completed his schooling (upto H S) from NAVA NALANDA. Throughout his student life he was a good student and got star marks and 1st class with proper rank in both BFA & MFA. 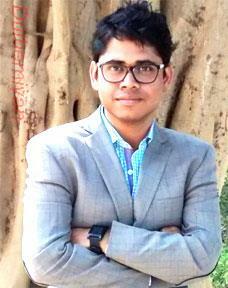 He completed UGC-NET in one chance and is preparing for PHD along with his current job. Previously he was teaching in IB school in New Delhi. 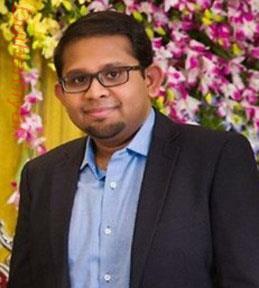 Presently he is working as Assistant Professor in Vellore Institute of Technology in the dept of Fine Arts & Visual Arts. Frequently he has to go to China for taking classes in Guangjhow University for a period of 4 to 5 months. There he gets reasonably high salary separately along with his existing monthly salary in VIT. !!!#!!! I am a spiritualist and I work as a Software Engineer at Red Hat Inc. I did my engineering in Computer Science. 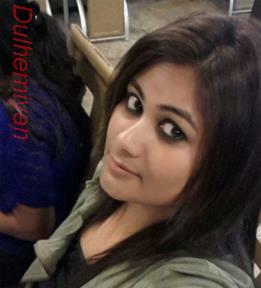 People around me appreciate me for my simplicity, naiveness, never give up attitude and doing social good. I keep traveling across the globe to talk about my projects and work. Apart from work, I like exploring the self, working out, singing kirtans and Vedic hymns, sometimes learning a few chords on the guitar, and cooking healthy food at home. My father is an executive engineer in the Railways, mother's a loving and caring homemaker, elder brother is a ENT doctor and he is married. Done matriculation from SEBA (Bongaigaon High School) with 87%, 10+2 from CBSE (Gurukul Grammar School, Guwahati) with 83.8% and B.Tech. in CSE from WBUT with 8.4 CGPA. I am an avid Open Source contributor and a web developer, and I currently work at Red Hat Inc. I mainly develop in Python, Django, MeteorJS. In the past, I have worked in various product based companies: startups, e-commerce, core technology. I contribute to various projects like Fedora, Mozilla, Wikimedia, etc.!!!#!!! 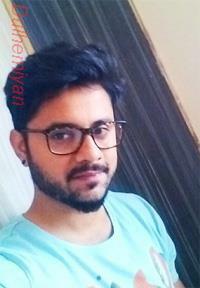 Hiii.... He belongs to a middle class family. We hv a vry happy family nd we in looking for that girl which would like to be a part of our happy family. !!!#!!! Hey, I am happy to know that you have shown interest in my profile. I use to enjoy health & fitness, listening to music and watching movies. I am a fun loving person and try my best to enjoy life under different circumstances. I believe in mutual understanding in a relationship. Family includes Mother - who is a homemaker, Father - who is retired from PSU (V.S.N.L. 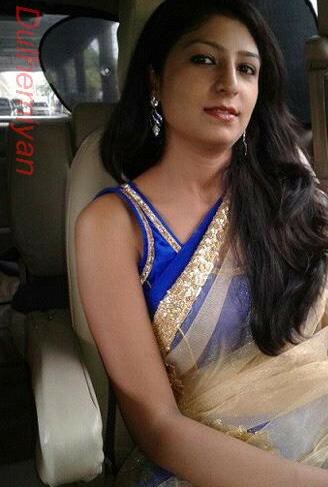 ), and has an elder brother who is married and settled. Organization: Ericsson Global India Services. Duration: 21st February�2011 Till Present. (4 years and 8 months) Designation: Senior Engineer. Role: Change Manager.!!!#!!! My brother is confident, hard-working, ambitious, fun-loving, caring, considerate and down to earth with full of positive energy. He believes that each day in living life to the fullest with dignity. Father : Mr.Bakul Chandra Nath, has retired from Govt Bank as Deputy Regional Manager (very honest, always valued family name over money). Mother: Home maker, very sweet and caring. Brother: Working in Middle East Sister: B.A(Hons) + MBA married to an IITian working for Cognizant, settled in USA. Uncle: B.E from Jadavpur University with Gold Medal and PG from Japan(1970). Well settled in New Delhi. Cousins: are settled and dotted around the globe. Relatives: Most of our relatives are working in reputed organizations like NTPC, OIL, ONGC, Wipro, etc. B.Tech (Electronics & Instrumentation) + PG Dip(industrial automation & sys design) from NIT, Calicut, Kerala.Working as a Sr.Engineer in the field of Industrial Automation & System Design for ABB.!!!#!!! I am writing for myself. 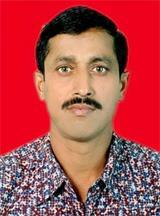 i am a friendly person yet reserved person and would like to have a partner who believes in same. Currently I am staying in Coimbatore in Tamil Nadu. My family is a Bengali middle class family based in Kolkata. I have lost my parents more than a decade ago so completed my education and started my career all by myself and blessings of my late parents and love and caring of my uncle and aunty and cousins in my family. We are three siblings of which I am the middle one. We are a family of 5 members basically from Kolkata, middle class, qualified having and moderate family values. 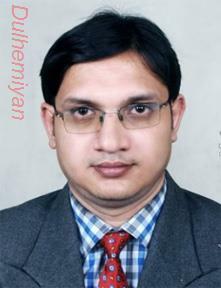 I am an MBA, 3 years part time from Indian Institute of Foreign Trade in Kolkata. It is ranked among first 10 in India. I am a B.com graduate. I have also got couple of certificates from IIM Cal and NSE. I have a total experience of about 9.5 years. I started working right after my graduation in 2005. Out of which I have almost 8 years in investment banking domain. I have worked in co's such as IBM-Daksh (CSE), HSBC(analyst-investment banking), Franklyn Templeton (senior analyst-investment banking) and currently in State Street-HCL (subject matter expert-investment banking). !!!#!!! Groom's parents are settled in Kolkata. Groom's father is a retired Executive and mother a Medico presently associated as a teacher in a Medical College. Groom's sister did her Post Graduation in Law from a leading University in Canada after completing her UG in LAW from National Law University, Lucknow. 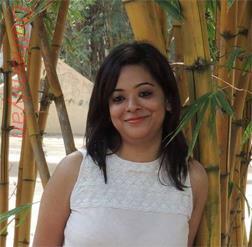 She is presently employed in a Leading Legal Firm in Mumbai as a Legal Associate. Both the parents originally hail from erstwhile Est Bengal. Groom's father is a retired Executive and mother a Medico presently associated as a teacher in a Medical College. Groom's sister is undergoing Post Graduation in Law in Canada.Both the parents originally hail from erstwhile Est Bengal.Groom's Uncles and aunt are also highly educated and well established in their respective professions. Groom's uncles are highly educated and successful professional both of them are settled down in USA. His only Aunt is a Medical Doctor and is the Professor & HOD in leading Medical Institute under the Govt of India.Maternal uncles of the groom are well settled in Kolkata and both of them are with the Govt of India.His only Maternal Aunt is a Housewife and is well settled in Mumbai with her husband.Cousins of the Groom.. both paternal & maternal are successful professionals both in India & abroad. !!!#!! We are a traditional Bengali family. My son had graduated from KITS ramtek, Nagpur in the field of Electronics and Telecom. IT sector, and also belonging to a Bengali brahmin family. I am mother of the groom, working as a school teacher. Groom's father is Central Government Officer at Nagpur. 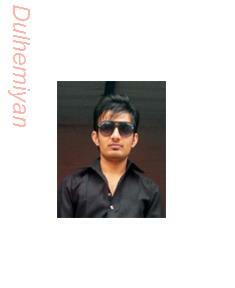 Groom's brother is a Post graduate from VNIT Nagpur , presently working in Pune and is currently single. Schooling from K.V Nagpur and graduated from Nagpur University. Started the career with a job in IT sector at Hyderabad and at present serving in a reputed private IT Company at Pune. With work assignment abroad. !!!#!!! I am interested many game cheese , football, cricket, video game and Internet watching etc. Hobbies read and watching internet. Family Background-(My father native place Khulna, Bangladesh ) My family is very small only my son and other three brother separate Elder brother Air Port Engineer one brother cultivation and lettel brother shopkeeper all family very simple. My father pass and mother house wife. I am simple at present Ex-Service mane ( Army). Presently I doing self work hardware and Networking , my place of work Delhi. my native place Calcutta. Three brother all marred my mother house wife and father pass , Elder brother Air Port Engineer one brother cultivation and lettel brother shopkeeper all family very simple. I am at present support IT sec ,Education MBA ( Marketing), BCA -73.50% (Dr CV Raman University) ,CCNA, CCNP, MCSE, A+ Core Hard Ware, ADP DCA ,HDCA ,Store Keepar and Ammunition Techaction. Previous Work Indian Army and present work Private company. !!!#!!! 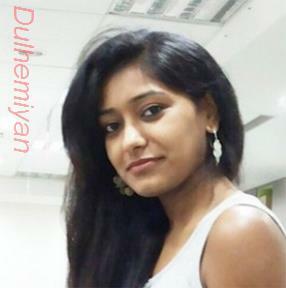 Bengali Matrimony is a part of Dulhemiyan.com , an Indian Matrimony Site offering online matrimonial services exclusively based on communities. We are one of the leading and most trusted sites for Bengali matrimonial having 1000+ Bengali brides and Bengali grooms matrimonial profiles. Our aim is to facilitate the ultimate search to find eligible Bengali partners globally including wide sets of Bengalimatrimonial profiles. We have a highly dedicated customer service team to assist you in all queries raised in your partner search. Bengali matrimony aims to search your perfect match from thousands of Bengali matrimonial profiles. 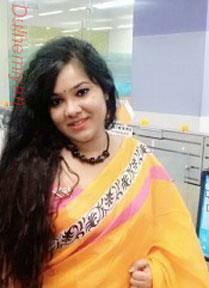 It is the best place to find your most compatible match by connecting with number of Bengali singles .